It was late afternoon, September 10, 2001. I had just had surgery and was pretty much out of it that evening from the effects of the anesthesia, drifting into a groggy sleep. In the early hours of the morning I awoke fully alert; my mind was clear, so clear in fact, that I actually remember thinking how odd it was. I looked over at the clock, it was 3:00 AM on the morning of September 11. As I lay there for a moment, the next thought that came to mind was a sense of urgency to pray for all who would die that day, so I said a chaplet of Divine Mercy, the prayer below, and a few other prayers, and offered the discomfort of my surgery for them. As soon as I had finished my prayers I fell back into a deep sleep. The next morning I awoke as a sister rushed into my room to tell me something terrible, something awful, was happening. The television was turned on and we watched, with growing horror, the events unfolding on the screen before us…and we prayed. We prayed for the people in the Twin Towers, the people at the Pentagon, the people on an airplane flying towards a field in Pennsylvania. As we prayed, I felt that hundreds, thousands of others, were praying with us, praying for those very same souls. People we did not know, but who needed our prayers at that most important and distressing moment of their lives. I suddenly remembered the early morning prayers, and knew those prayers also had been for them. I wondered how many others had been wakened from sleep to pray for the souls of those who would die that day, and marveled at God’s never failing Providence. I realized how easy it would have been that night to roll over and go back to sleep, ignoring that call to pray. I’m so glad that I didn’t. Many times the Holy Spirit places on our hearts a compelling urge to stop and pray for someone, we often won’t know why, and we probably won’t know who…but God does. 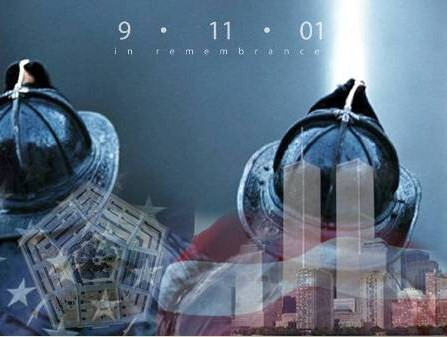 Let us remember in prayer all those who died this day twelve years ago, and those who died last year in Benghazi. May they rest in peace. Most merciful heart of Jesus, lover of souls. in their last agony, and are to die this day. This entry was posted in A Nun's Life and tagged 9/11, prayer, prayer for the dying by srgracemarie. Bookmark the permalink. Great reflection Sister! I did one as well.